Next year, the BMW Motorsport racing program will switch over to the new BMW M6 GT3 race car. 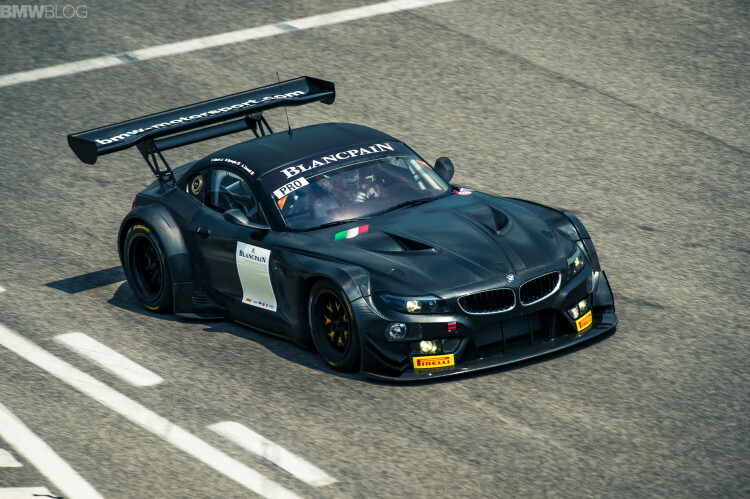 The outgoing Z4 GT3 has been competing in Europe since 2011 and in the U.S. starting in 2014. Now with the new racing car just around the corner, several teams from around the world are putting up for sale their Z4 GT3s. Currently you can find Z4 GT3s from Marc VDS Racing, Triple Eight Race Engineering, TDS Racing, and BMW Team Brasil on RaceCarsDirect.com. While the production version of the BMW Z4 has a six-cylinder engine, the GT3 car is powered by a 4.4-litre eight-cylinder engine derived from the BMW M3 GTS, which produces approx. 515 PS (379 kW; 508 bhp). The weight of the BMW Z4 GT3 is approx. 1,190 kilograms (2,624 lb). In its first year of racing, the car proved competitive in the FIA GT3 European Championship as well as not only emerging victorious from the Dubai 24 Hour endurance event, but also heading to second place from a low 49th position at the 2011 24 Hours of Spa-Francorchamps event by the Need For Speed Team Schubert. Chassis 1059 (Built 2013 new chassis 2015) 24 hour pack £165000 pounds this includes all front headlights top, side and lower. number packs oil fill system and two extra sets of wheels.